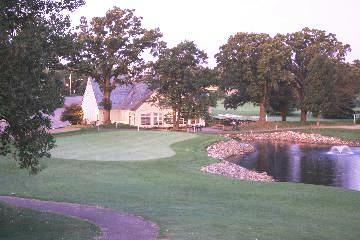 Oneka Ridge Golf Course, is a Public, 18 hole golf course located in White Bear Lake, Minnesota. 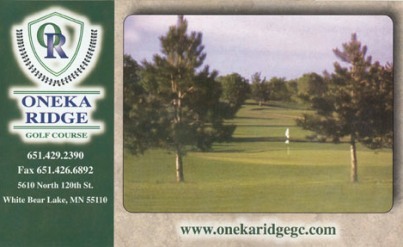 Oneka Ridge Golf Course first opened for play in 1995. 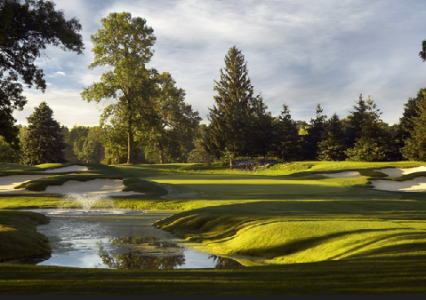 The par-72 course was designed by Warren Arcand and Wren Ball. 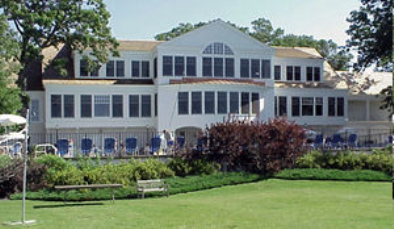 This course has tree-lined fairways and undulating greens that are in excellent shape and much quicker than those usually on a public course.  Water hazards come into play on seven of the 18 holes. 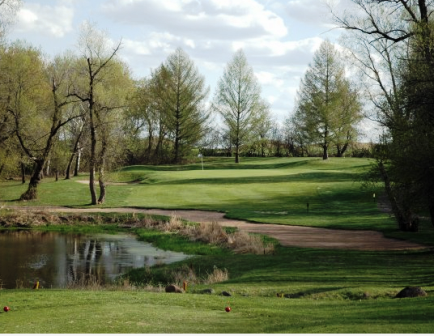 #4 is the signature hole, a 307-yard, par 4, with birch trees behind the green and a creek that flows through the middle of the fairway. Pin placement sheets are given to every golfer at the pro shop and will you accurately determine pin placement for that day, and help guide any approach made from the fairways. 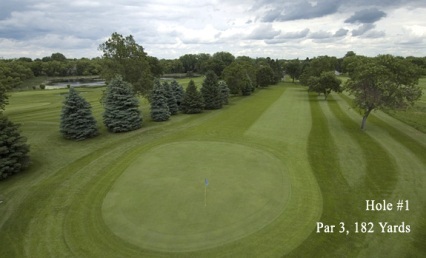 Blue tees: 6,351 yards, course rating 70.8, slope rating 119. 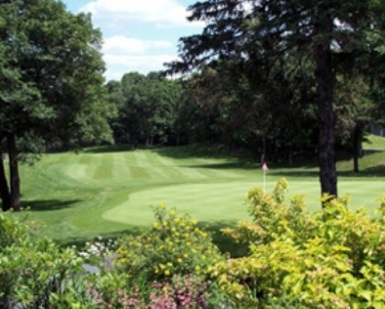 White tees: 6,061 yards, course rating 69.5, slope rating 116. 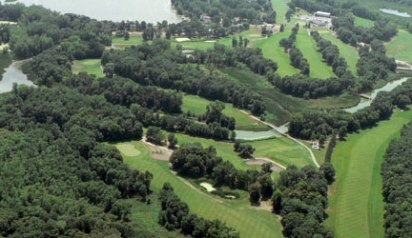 Red tees: 5,166 yards, course rating 69.7, slope rating 114.